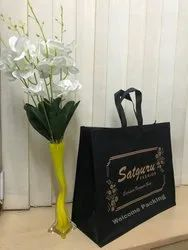 We are a leading Manufacturer of non woven chain bag, non woven box bag and non woven shopping bag from Surat, India. Non-Woven Zipper/Chain Bag. These zipper bags find their wide usage in supermarkets. Notable for their transparent front side, these cover bags help in clear visibility of packed saree and suit. Offered zipper bag are made accessible in different sizes as per the various needs of our clients. 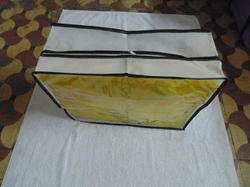 Nonwoven box bags are usually hand stitched. We manufacture the real box-shaped nonwoven bags fully automatically.